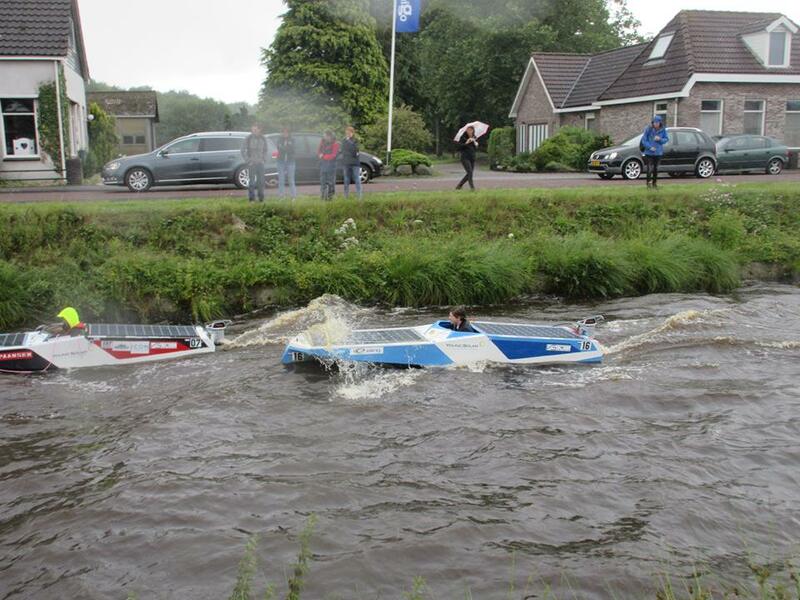 Young Solar Challenge – Final Results! 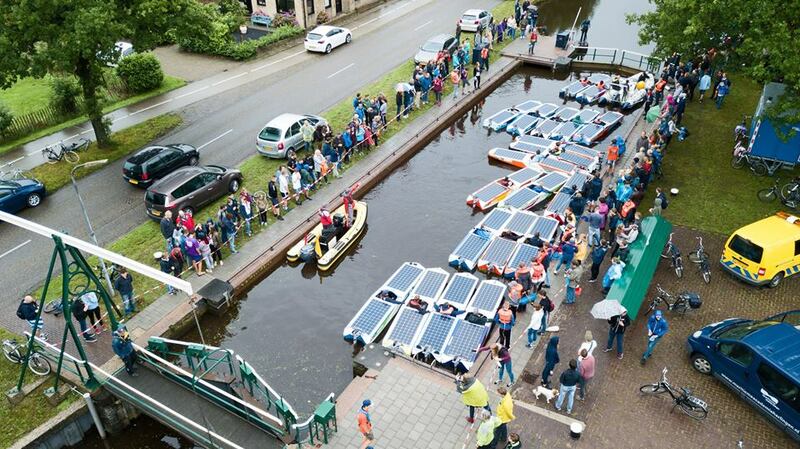 A fantastic action-packed final was enjoyed by all the Young Solar Challengers during the weekend 30 June to 1 July at Appelscha, Netherlands. 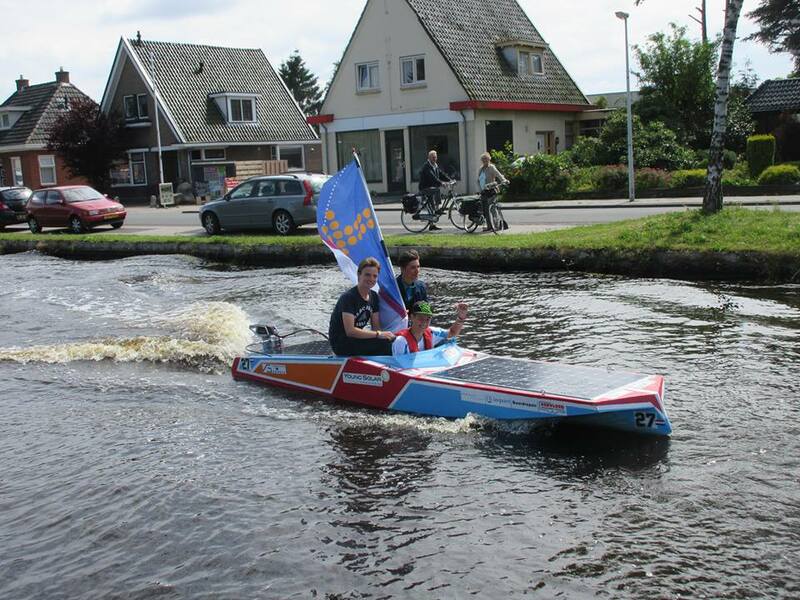 Twenty teams of students aged between 14 and 17 earned their place to take part in the series by building their own solar powered boats! 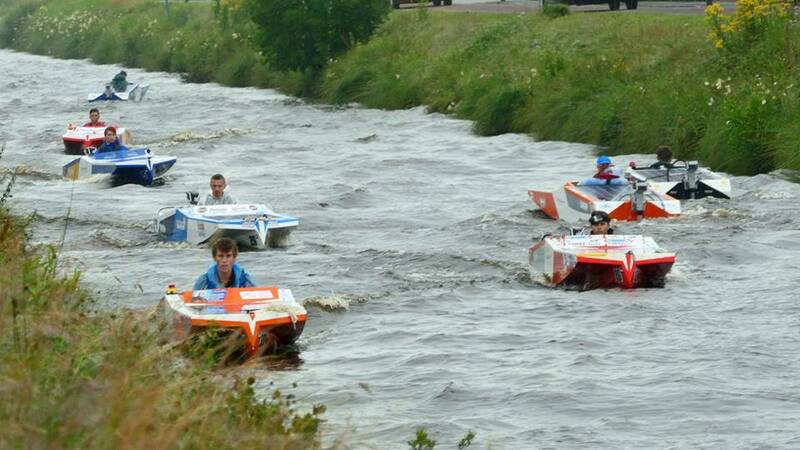 Even the sometimes wet weather wasn’t enough to damp the spirit and enthusiasm of all competitors. See how the bow waves of these speeding, virtually silent, craft chop-up the water on the canal. Pure concentration and tactical positioning are the key to climbing up the grid – a mistake whilst executing a 180 degree turn can result in a collision with the bank, risking damage to your craft …though students were on-hand to help friends and competitors alike fend-off the dangers. After a gruelling race with many dogfights…. and in third place, Da Vinci College on 126. The fantastic image at the head of this blog was taken by Leo Bakker during the second series of Solar-Powered boat races and whilst it isn’t one of the Young Solar Challenge boats it represents the state of the art of Solar-Powered Boat-Racing to which all entrants aspire! 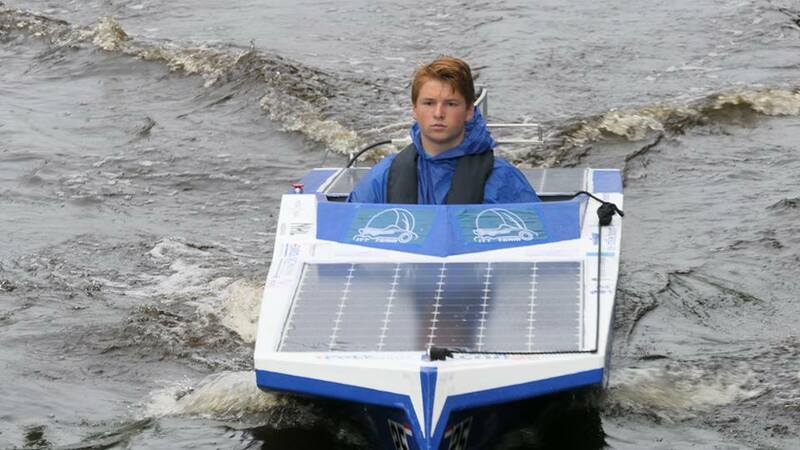 The boat pictured is in the same class as ‘Furia’ – the World Champion CLAFIS Victron Energy team’s solar boat. Sincere thanks to Leo for allowing us to use the image …judging by the enthusiasm which Young Solar Challengers have for the race, this is the 50kph class of boat they’ll be building next. Or perhaps they’ll build one that’s even faster!? Victron Energy is proud to play its part in encouraging and nurturing enthusiasm in tomorrow’s Scientists and Technicians by assisting Young Solar Challenge to buy Victron Energy products. A big thank you to Kiki Merkies for keeping us informed.